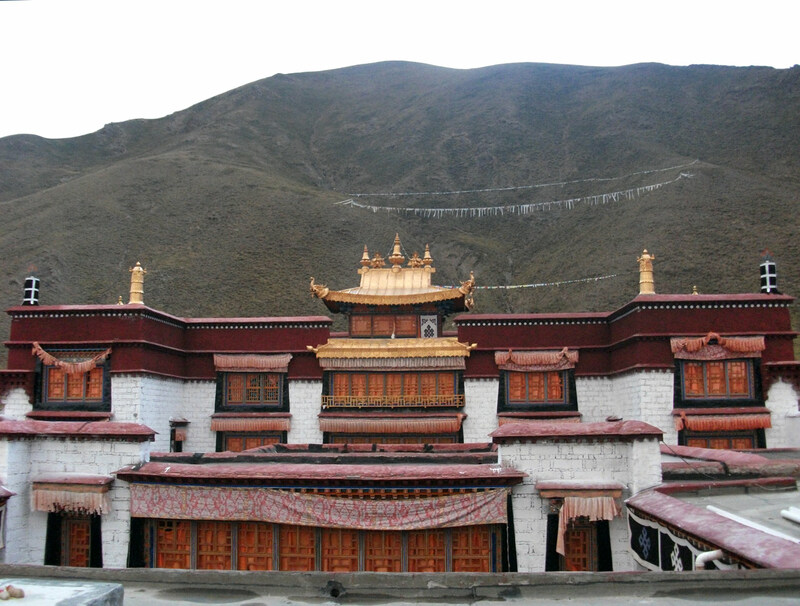 Drong Ngyur Tubten Namgyal Ling Monastery, located about 150 miles northeast of Lhasa in the Rusar District of Nakchukka, Kham, Tibet, was established by Lama Phurga Tashi in the 17th century during the reign of the 5th Dalai Lama. 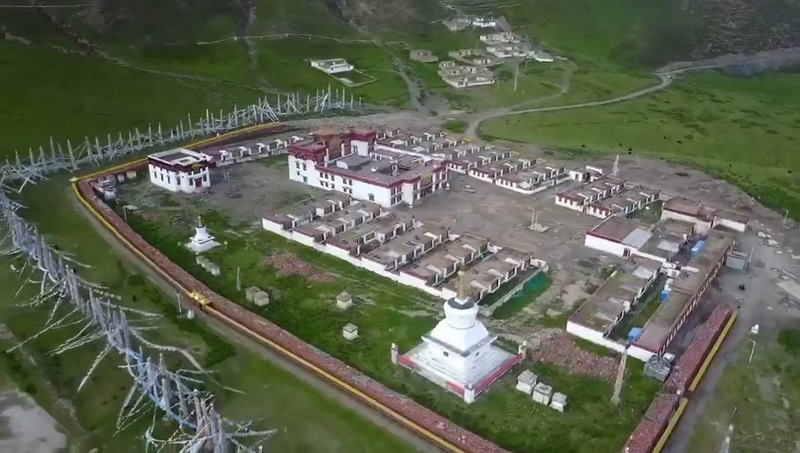 For centuries, the Drikung Kagyu monastery endured inclement weather and unfavorable political upheavals while a stream of enlightened beings and monks studied and practiced within its hallowed walls. 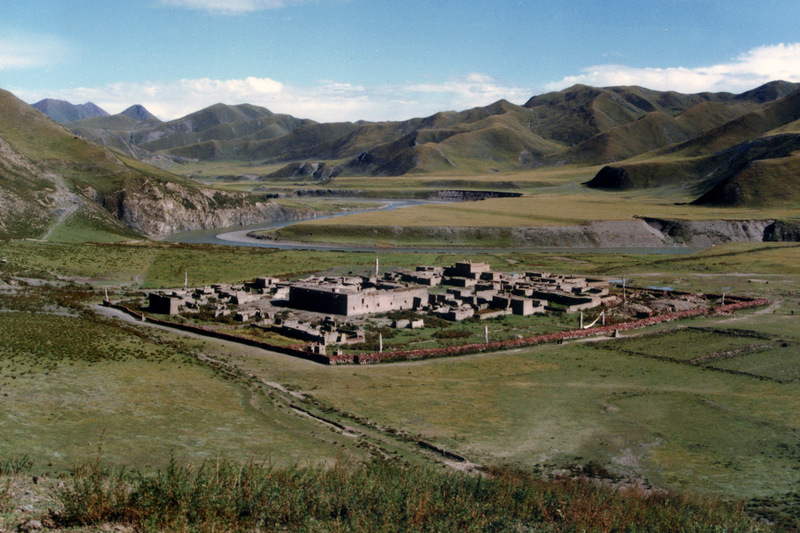 Rusar District, itself, is now inhabited by about 30,000 people. 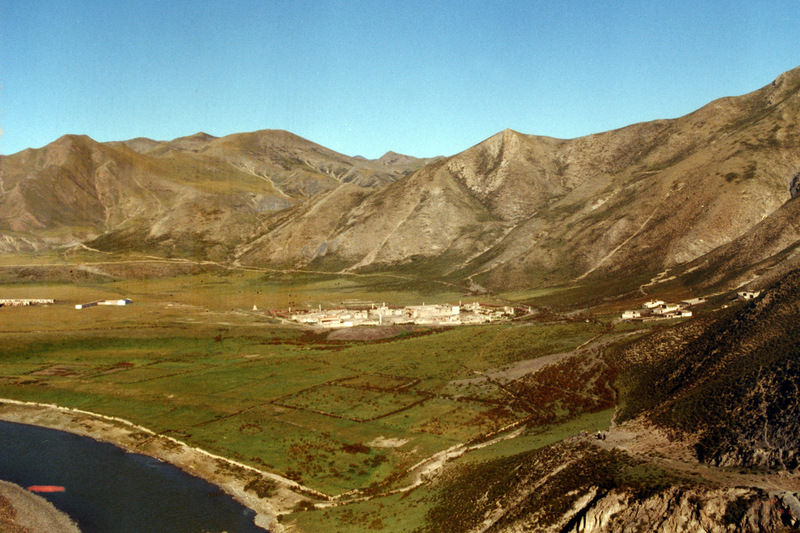 It is a high, cold, and windy place. 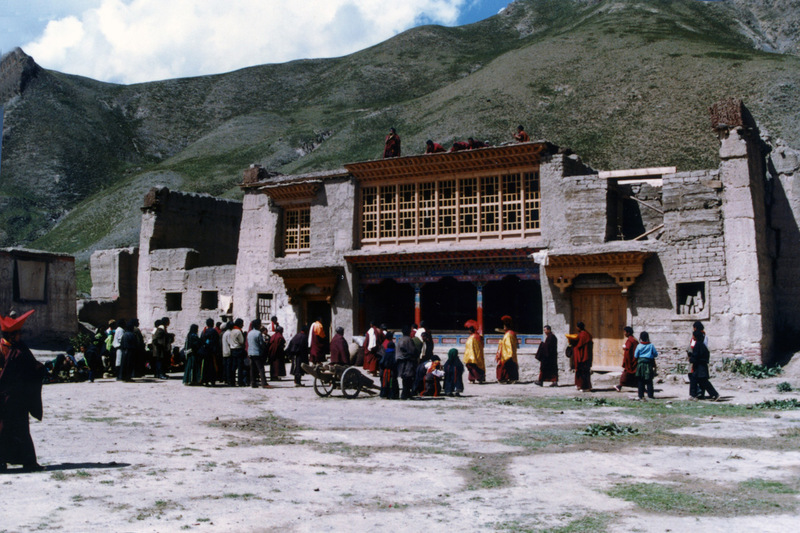 Inhabitants are mostly nomads having little contact with the outside world. 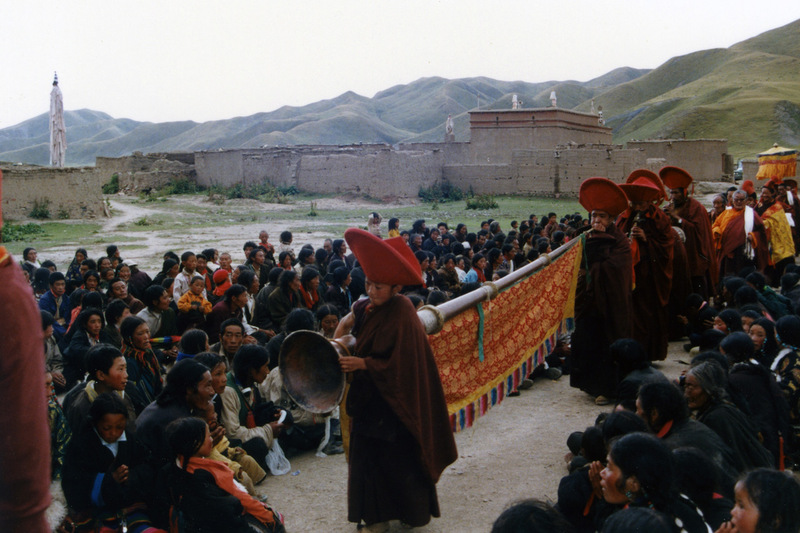 They lack the conveniences of modern technology and infrastructure. 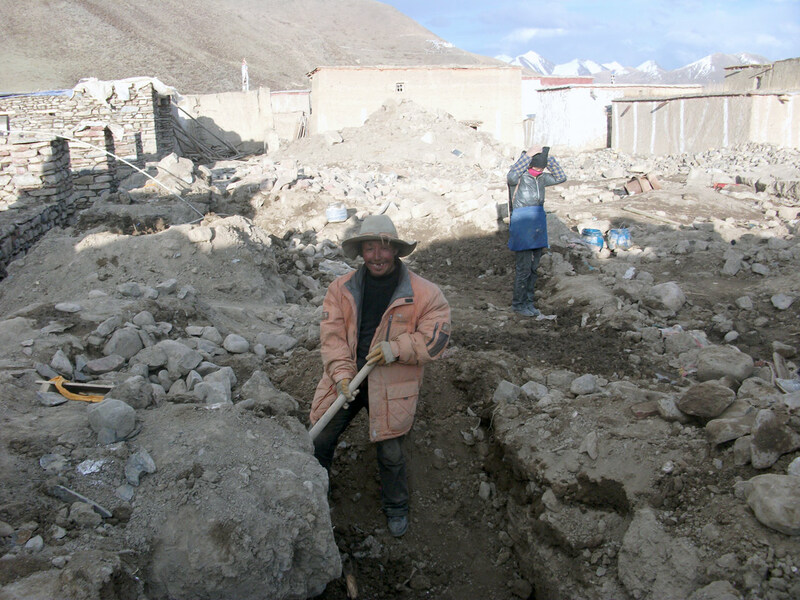 Likewise, arable land and fresh produce are in short supply. 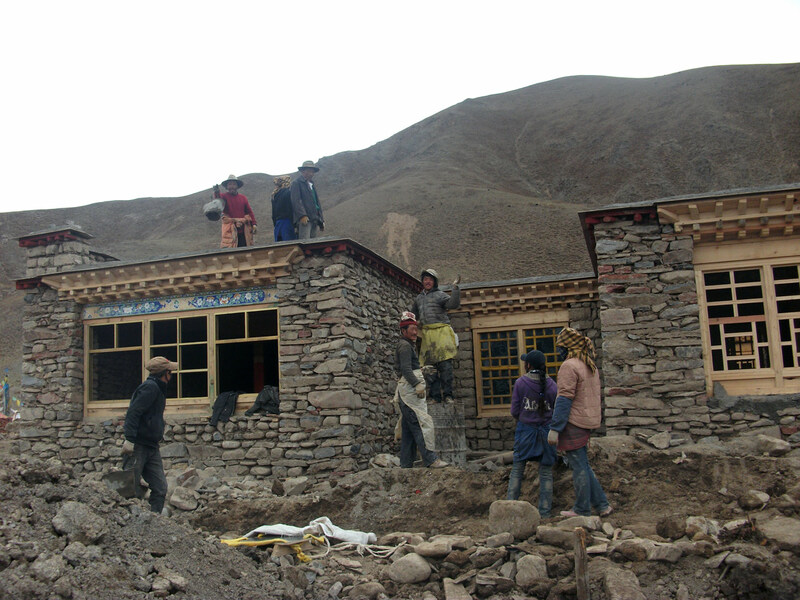 Schools and hospitals are extremely rare. 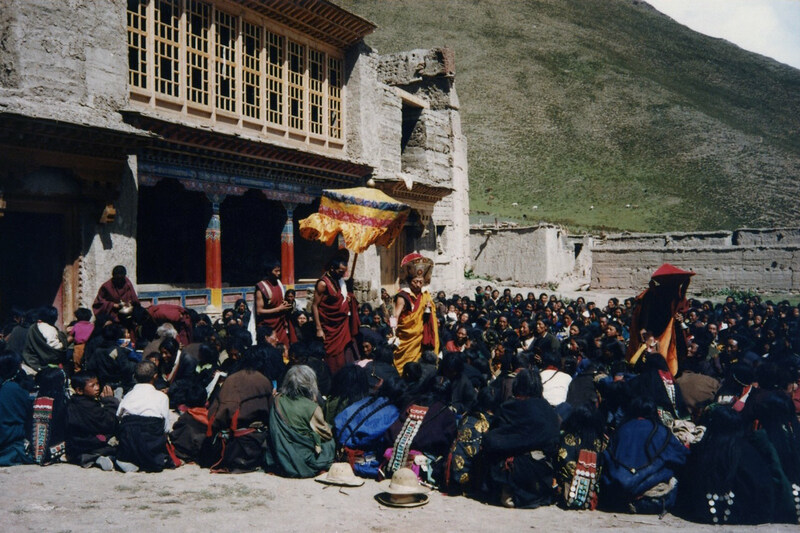 When Tulku Chokyi Nyima Rinpoche was enthroned at Drong Ngyur Tubten Namgyal Ling Monastery as a small child, about 500 monks resided there. 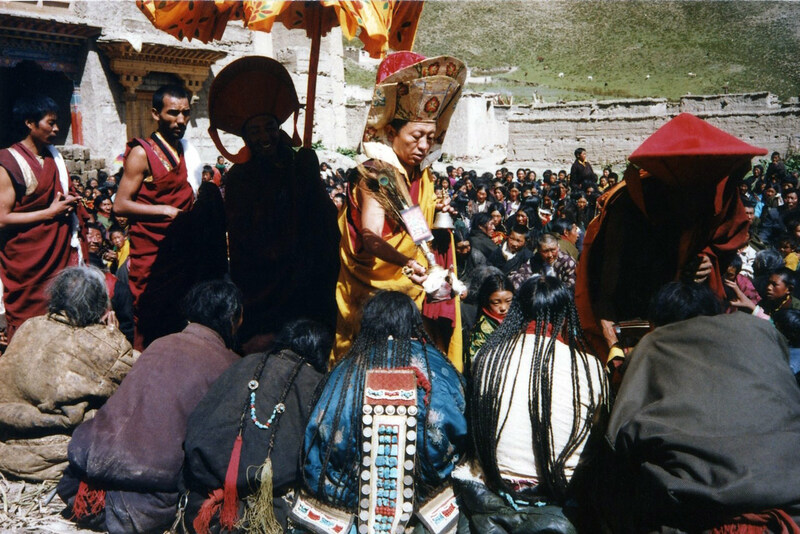 They embraced him as the 7th incarnation of their spiritual mentor, the renowned mahasiddha Gar Drubchen. 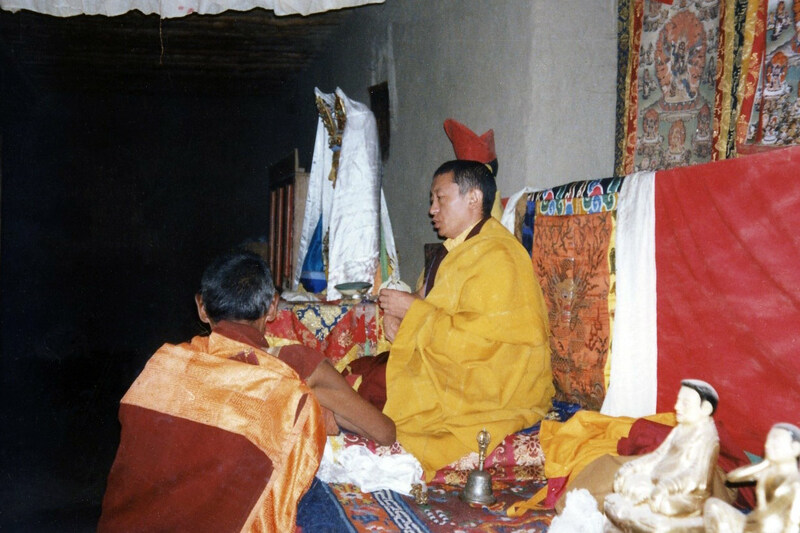 Unfortunately, Rinpoche was unable to remain as head of his monastery for more than a few short years during his early childhood because his father, Kyabje Tulku Urgyen, relocated his wife and sons to Sikkim. 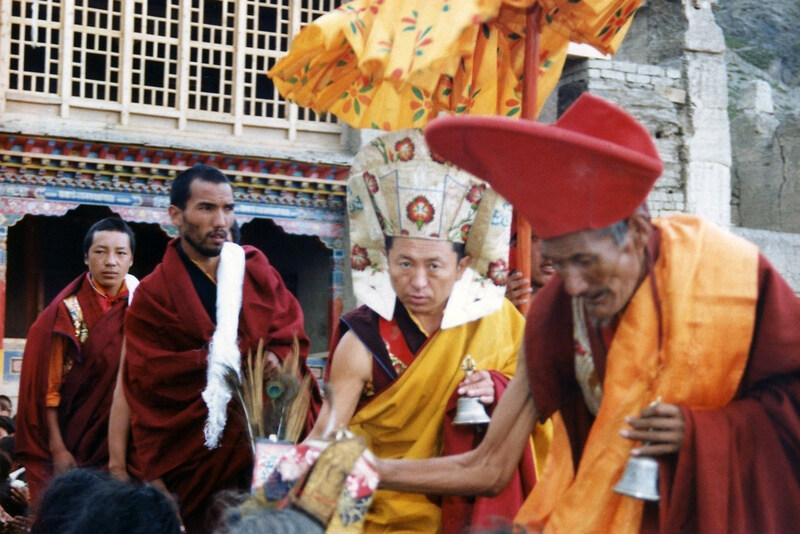 Tulku Chokyi Nyima Rinpoche visited Drong Gompa several years ago and was welcomed back with a tremendous outpouring of faith and adoration from the local community. 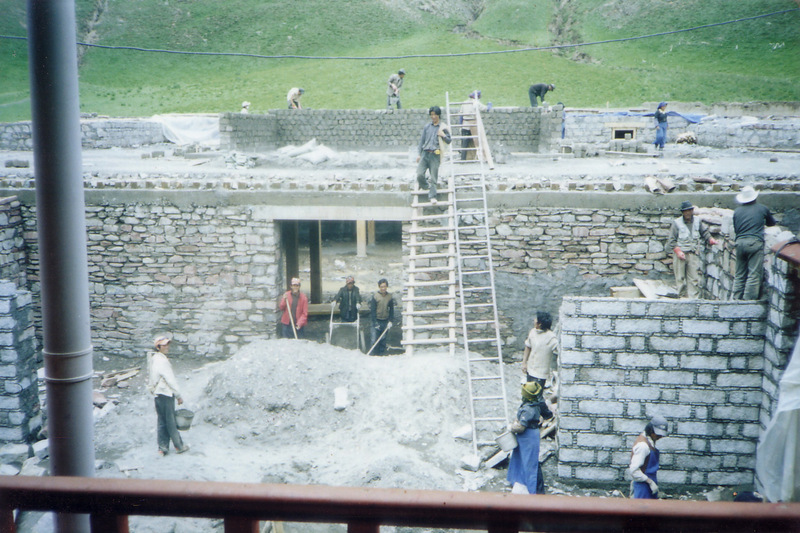 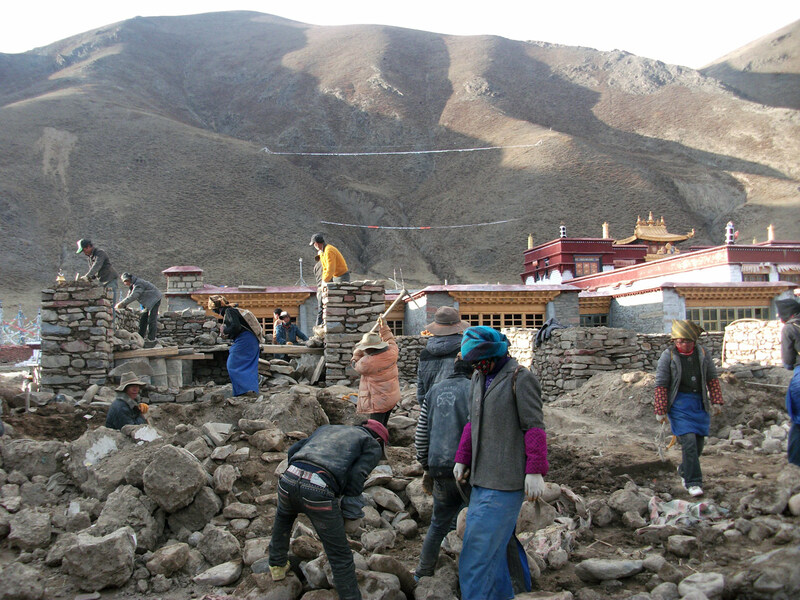 At that time, it was Rinpoche’s heartfelt wish to restore the monastery to its former glory. 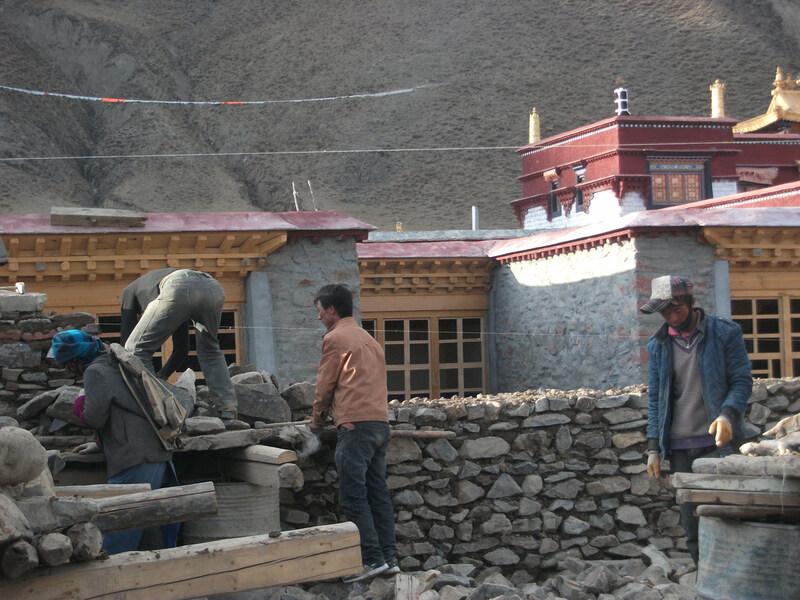 Now, in accordance with its Master Rebuilding Plan, restoration is nearing completion based almost entirely upon the efforts of the local community and a handful of dedicated and generous benefactors, from both near and far.